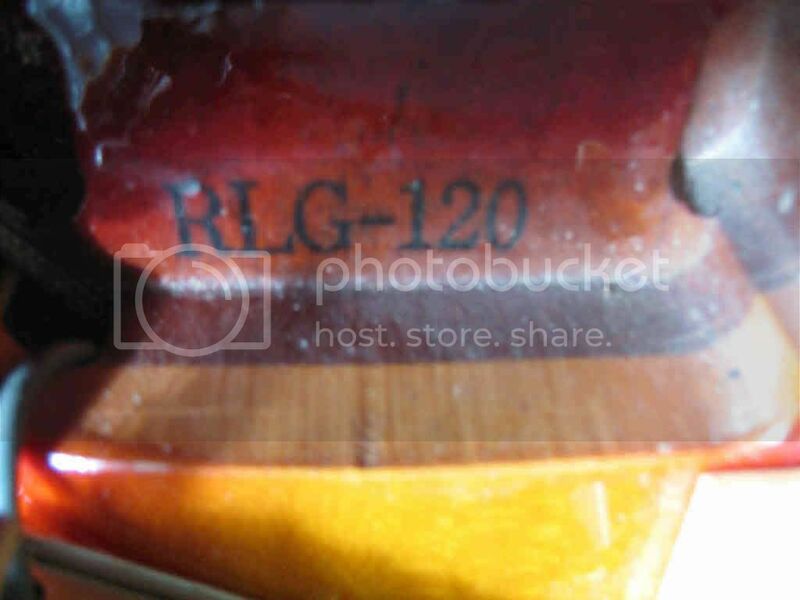 If anyone is interested: Burny FLG-120 listed on eBay out of Seattle, WA. I noticed that the picture of the neck cavity is actually the same pick from a previous auction. Probably just lazy on the sellers part but still incorrect. Funny.... I emailed the seller as they stated.... Long neck tennon... and from the picture it is not. you know... in my same email I told him the top should be soild AND NOT A LAMINATE...and all the reply was... "it is stamped 120 in the pup cavity"... I am in Seattle maybe I should pay a visit..
A Burny.. laminate top, refretted guitar and no long neck tenon...and at this post it is $910's think they are getting both guitars?... Please help..
its very rare and lovely too...i think it will go higher..
i have seen 3 or 4 in 5 years.. I think you're right, too many 'issues' otherwise I would be bidding! I am in Seattle where the guitar is and thought about viewing the guitar...but....Like I said before the SELLER avoided all my questions and only responded with"IT is marked 120 in the PUP cavity" and also the seller has posted none of the questions in response and I'm sure there have been a few... SO WHAT IS THE GUITAR?